Whether we provide you with tennis court resurfacing for your existing tennis court or we build you a tennis court from scratch, we are your Oregon game court specialist. Currently, Sport Court Oregon serves residential communities and commercial properties, building tennis courts and Quickstart Tennis courts in the state of Oregon and Southwest Washington. No need to worry about cracks, blisters and resurfacing every few years like traditional applications, our tennis court surfacing has the latest technology in athletic performance surfacing, offering vertical cushioning and patented “lateral forgiveness” to absorb the shock of sudden starts and stops in hard play. Tennis Court Resurfacing? 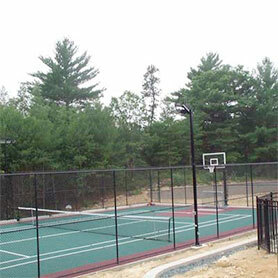 Upgrade your existing tennis court to a tennis court and multi-sport game court by Sport Court Oregon. Traditional acrylic surfaces are the tried and true playing surface for tennis in the United States. This is the surface that American tennis has grown up on and is the most played on surface in the U.S. Acrylic surfaces have their inherent issues with constant repairs, maintenance, and cracking. Sport Court Tennis provides more long term safe surface options that reduce or eliminate the issues with standard acrylic surfaces than any other company. 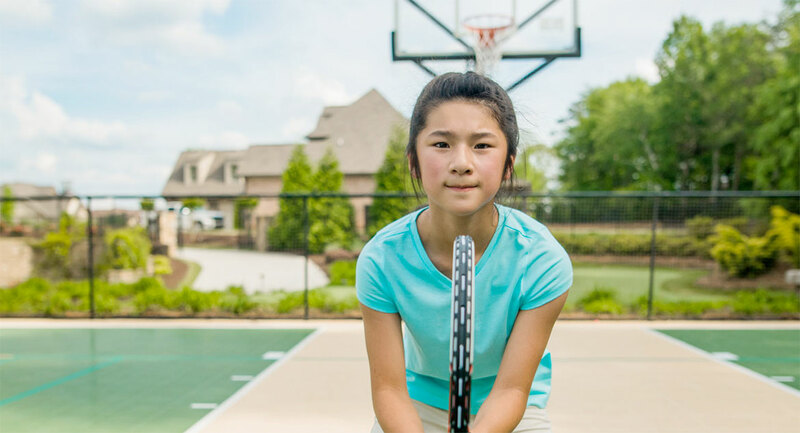 Our surfacing provides safety for children and adults with a high-performance outdoor or indoor tennis court that allows your tennis players of all ages and skill levels, with an easy-on-the-joints, responsive surface on which to perfect their game. 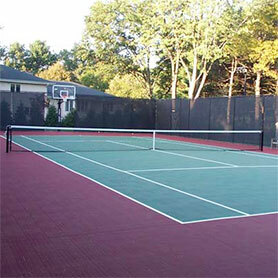 Sport Court Oregon is the leader in tennis courts and tennis court resurfacing. Currently, Sport Court Oregon serves residential communities and commercial properties, building tennis courts and multi-sport game courts in Oregon and Southwest Washington.